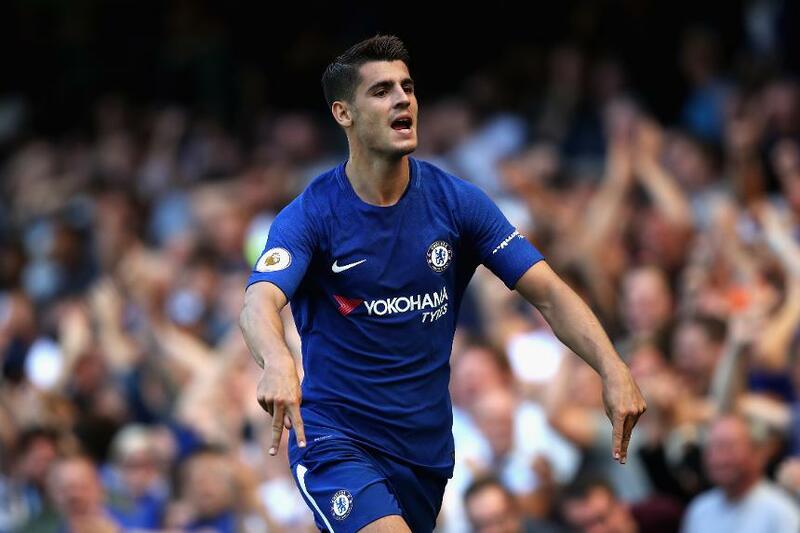 Alvaro Morata (£10.7m) is poised to return for Chelsea and Fantasy Premier League managers this weekend. The forward was sold by more than 222,000 managers ahead of Saturday's 11:30 GMT deadline after being ruled out of last Tuesday's win at Huddersfield Town with a back problem. He has returned to training and is back in contention to face Southampton at Stamford Bridge. Antonio Conte fielded a 3-4-2-1 without Morata against the Terriers, with Pedro (£7.7m) and Willian (£6.6m) stationed behind Eden Hazard (£10.9m). Pedro and Willian both scored at the John Smith's Stadium but Conte could bench them and revert to his recent 3-5-1-1 formation, which would shift Hazard to a No 10 role in support of Morata. Arsenal's Sead Kolasinac (£6.2m) and Alexandre Lacazette (£10.4m) are both in line to return for the visit of Newcastle United. The pair have been moved on by 24,000+ and 17,000+ managers respectively after being benched for the Gameweek 17 goalless draw with West Ham United. Both have the form to punish those who sold them. Kolasinac has averaged 7.25 points per match at home, while Lacazette has scored or assisted in six of his eight appearances at Emirates Stadium. Richarlison (£6.6m) is available for Watford's home encounter with Huddersfield Town. Owned by 19.4% of FPL managers, the Brazilian was withdrawn through injury late on at Crystal Palace on Tuesday. He is the second most-sold midfielder ahead of Gameweek 18, with over 81,000 managers parting company with him. With a goal or assist in 10 of his 17 Gameweek appearances, he will be a major threat to a Huddersfield defence who have conceded at least two goals in each of their last five away fixtures. Burnley's chances of claiming a ninth clean sheet of the season have been boosted by the return of back-four regulars Ben Mee (£4.7m) and Matthew Lowton (£4.6m). However, Stephen Ward (£5.2m), the most popular defender in FPL, remains an injury concern for the trip to Brighton & Hove Albion. Part of 23.4% of squads, the left-back has been sold by more than 120,000 managers this week. Palace absentees to benefit Mahrez? Crystal Palace's absentees at the King Power Stadium on Saturday could be good news for the in-form Riyad Mahrez (£8.6m). Defenders Mamadou Sakho (£4.9m) and Joel Ward (£4.8m) remain sidelined for Roy Hodgson's side, while Timothy Fosu-Mensah (£4.4m) is a major doubt. The Palace defence will face Leicester without the protection from midfielder Luka Milivojevic (£4.6m), who serves a one-match suspension. Over 106,000 FPL managers have acquired Mahrez this week on the back of three goals and an assist from his last four appearances.